India 05 September 2016: Pomegranates or anar are considered as the ‘fruits of paradise’ in ancient cultures. Traditionally, pomegranates are known as a symbol of health, with several Ayurvedic and herbal medicinal scriptures mentioning their use as a natural remedy. Pomegranates which were originally grown in Iran is now available worldwide. Daily consumption of pomegranate maintains healthy blood flow in the body. Pomegranate supplies iron to the blood, thus helping to reduce symptoms of anemia, including exhaustion, dizziness, weakness, and hearing loss. Pomegranates are rich in polyphenols provide long-lasting protection from heart surgery-induced memory retention deficits. 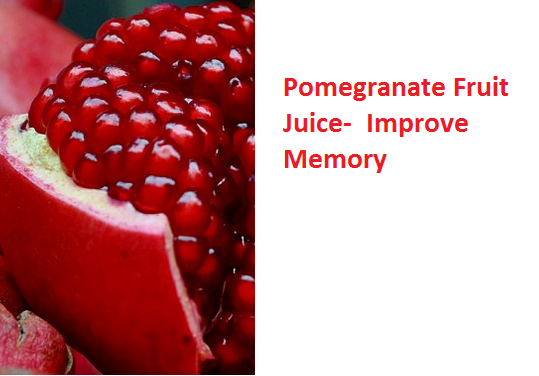 Daily intake of pomegranate juice can help in improving memory. Pomegranate juice has many health benefits. The juice is an excellent natural stomach soother. It helps to prevent diarrhea, treat nausea and vomiting, and help calm and soothe stomach ulcers. 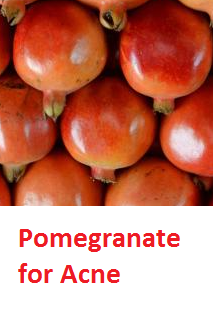 It is very essential for people with diabetes to include high fiber foods in their diet as they are hard to breakdown which avoids the spike in blood sugar levels.Pomegranate is a great source of dietary fiber, which can be a help in controlling the blood sugar levels in patients suffering from diabetes. 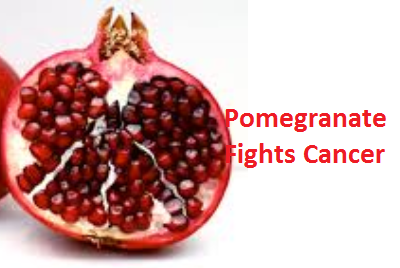 Pomegranate are rich in antioxidants, vitamin A, vitamin C and iron which fight the free radicals which cause cancer. 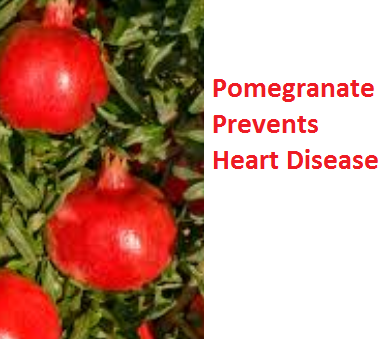 Pomegranate is said to be effective in the prevention and treatment of prostate cancer, breast cancer and lung cancer. Pomegranates are loaded with antioxidants including tannins, anthocyanins and polyphenols all of which have been proven to lowers bad cholesterol and promotes good cholesterol. It also helps improving blood circulation to the heart, which keeps your heart healthy. pomegranates have been associated with fertility and abundance for centuries. Pomegranate seeds are high in estrogenic compounds. A glass of pomegranate juice boosts testosterone levels in both men and women. 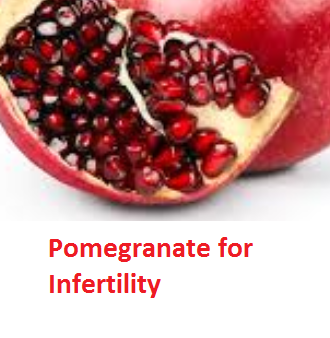 Consuming a glass of Pomegranate juice daily can help in solving your Infertility problem. Our body needs vitamin C for having a healthy immune system. A medium-sized Pomegranate contains 15% of your daily Vitamin C requirement. Consuming pomegranate daily can help boost your immune system and keep at bay diseases like rheumatoid arthritis and osteoarthritis. Pomegranates are rich in healthy fats which help increase the levels of good cholesterol in the blood. 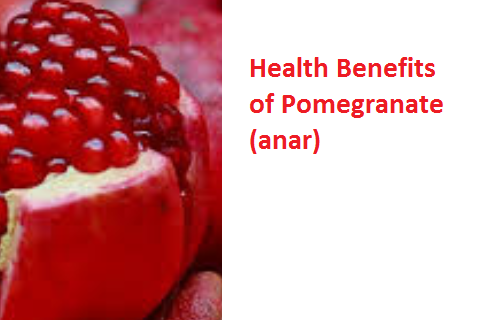 Daily intake of Pomegranate helps in removing the plaque which gets accumulated in the Arteries overtime. It also stops it from rebuilding and keeps your Arteries healthy. Daily consumption of Pomegranate juice can reduce high blood pressure by 5%. Thus helping you maintain a healthy heart. Pomegranate juice contains polyphenols, tannins, and ellagic acids which stop the accumulation of plaque causing bacteria in your mouth, keeping your pearly whites always shining. 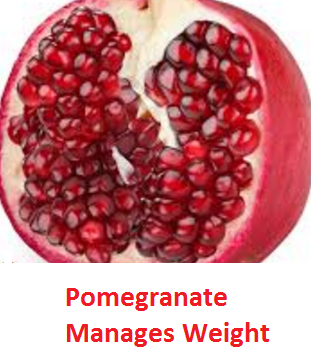 Pomegranates are high in antioxidants and fiber which helps in maintaining your body weight. It also helps to promote a healthy blood flow, increases energy and boosts your metabolism making it easier for your body to lose weight. 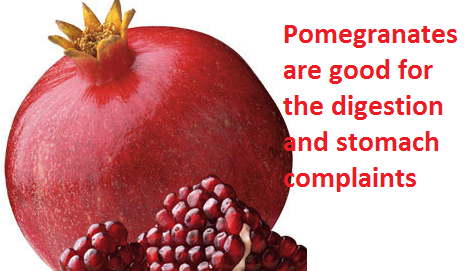 Pomegranates have astringent properties which makes them an excellent home remedy for Diarrhea. Make sure not consume a lot or it will lead to constipation. 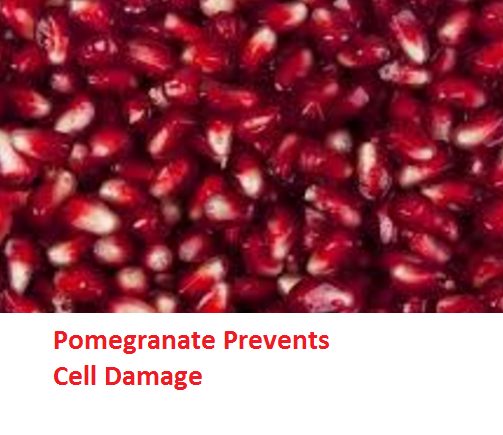 The antioxidants present in pomegranate helps to fight free radical which damage the cells. Daily intake of Pomegranate juice or fruit can help your body's cell stay strong and healthy. Research has shown that consuming pomegranate can help prevent the risk of Alzheimer’s and slow the progression of it in people already suffering from it. 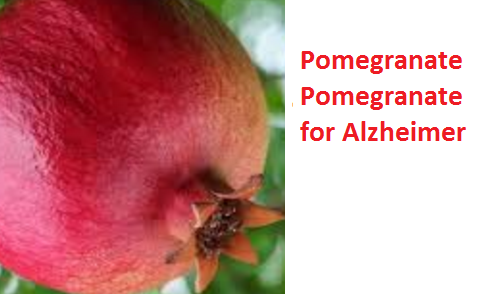 The compound found in pomegranate can help with Alzheimer’s by reducing inflammation in specific brain cells called microglia. Inflammation in microglia leads to destruction of other brain cells which can make symptoms worse for people with Alzheimer’s or dementia. 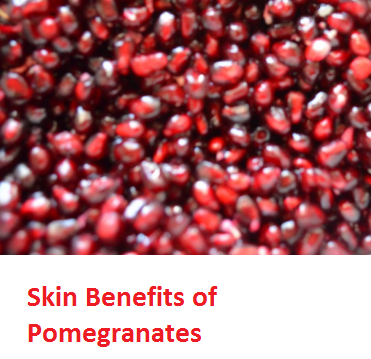 Pomegranate have always been an integral part of skin care treatments. Pomegranates are very common ingredients of many cosmetic products. 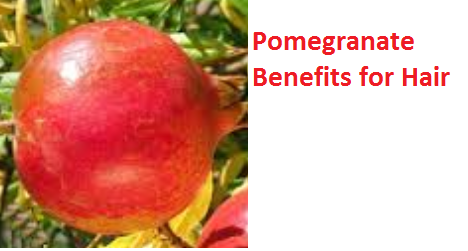 Below are some of the skin benefits of Pomegranate. Our skin made up of collagen which gives it a smooth and soft texture. Certain compounds present in pomegranate stop enzymes from breaking down collagen, thus maintaining skin health. These compounds found in pomegranate help in the growth of fibroblasts which are the cells that produce elastin and fiber to ensure that your skin remains smooth and supple. 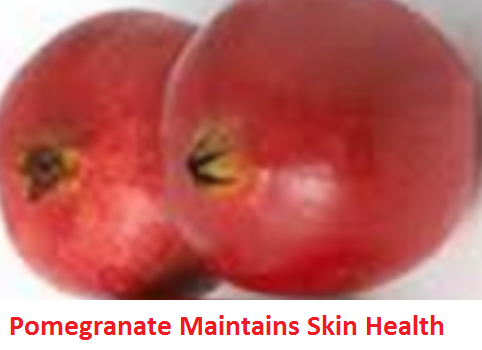 Furthermore, this fruit stimulates proliferation of keratinocytes, the cells that form the outermost layer of your skin. The increase in the number of these cells enables your skin to repair itself better. 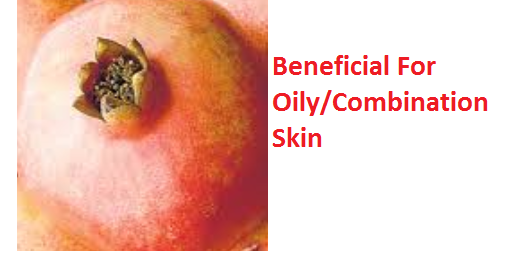 The oil made from pomegranate seeds works as excellent treatment for dry skin, it penetrates easily into your skin, has anti-inflammatory and soothing properties, and also the antioxidant protection, the punicic acid and omega-5 fatty acids will quickly rejuvenate, soothe, moisturize the skin. Pomegranates work great to protect the outer layer of your skin and can help with the regeneration of the inner skin cells, and hence is very beneficial in the healing process and helps to keep your skin looking healthy and youthful. Digestive problems or hormonal imbalance are the major causes of acne. Vitamin C present in Pomegranate helps in regulating the production of sebum which causes pimples. Drinking pomegranate juice also helps with digestive problems and promotes healthy blood circulation. 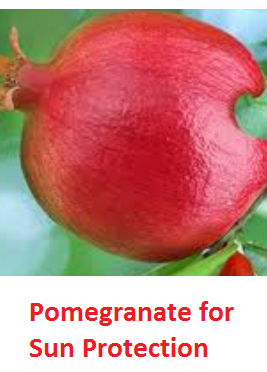 Applying pomegranate juice on acne affected skin also helps to get rid of the acne scars. 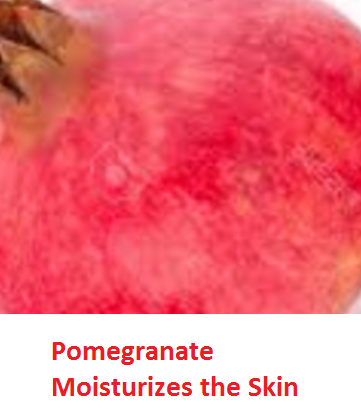 Pomegranate juice works as an amazing treatment for dry skin as it can easily penetrate into your skin, has anti-inflammatory and soothing properties, and also the antioxidant protection, the punicic acid and omega-5 fatty acids will quickly rejuvenate, soothe, moisturize the dry and dull skin. Oily skin is more prone to acne, and pomegranate works well to reduce acne by correcting the digestive problems and controlling the overproduction of sebum which makes your skin oily. It at the same time provides moisture to the skin by deep penetrating into the pores to hydrate them. If you suffer from dry and cracked skin then applying pomegranate seed oil is a treatment you need to try. It goes deep into your skin and moisturizes as well as its cell regeneration properties rebuild the damaged skin. The Anti-aging properties present in pomegranate help in reviving the skin from inside and out. Pomegranate seed oil penetrates deep into the skin and moisturizes it. It also strengthens the epidermis and thus reduces or delays the effects of aging. Pomegranate also promotes regeneration of cells and tissues thus repairing damaged skin and gives you smooth and youthful skin. 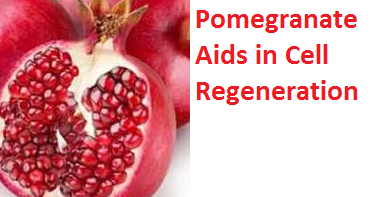 Pomegranate also promotes the production of collagen. 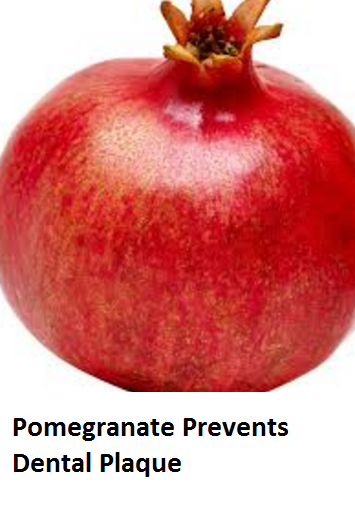 Antioxidants present in Pomegranates help in fighting sun damaging effects of sun exposure. These antioxidants also help in protecting your skin from the damage caused by free radicals. 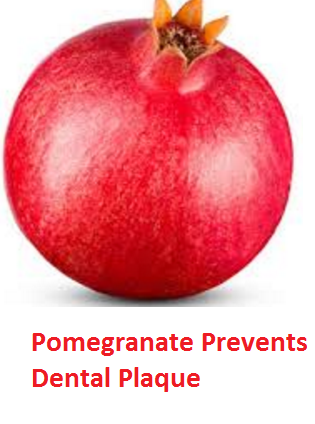 Ellagic acid, a polyphenol antioxidants present in Pomegranates stops the growth of skin tumors. Pomegranates are rich in polyphenols and other anti-inflammatory compounds which make Pomegranates very effective to against skin inflammation. Eating pomegranates and applying its juice or oil on the affected area gives quick healing of your skin and fights infection. 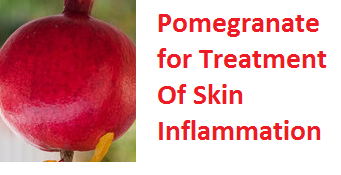 One of the best home remedy for skin problems is to use pomegranate. 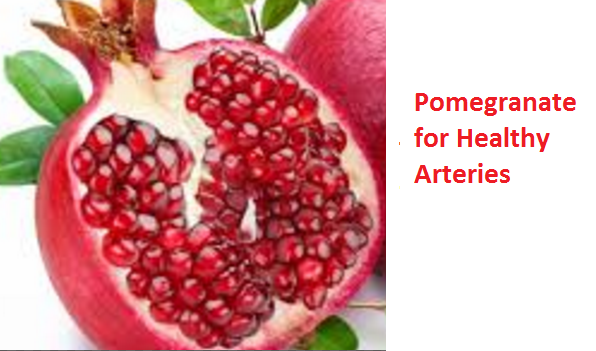 The antibacterial properties of Pomegranate kills all types of skin infections. 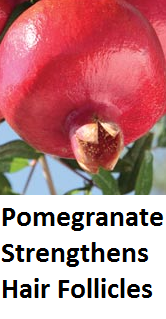 Pomegranate is very useful for treating hair problems like hair loss, dandruff, thinning hair, etc. 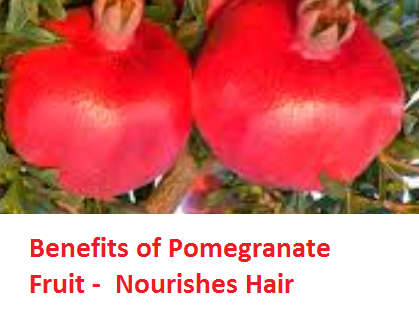 Punicic acid present in pomegranate seed oil makes your hair strong, thick and healthy. Daily consumption of Pomegranate juice strengthens your hair follicles. 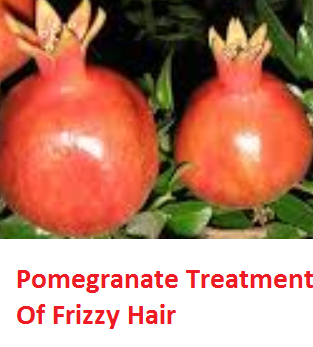 As pomegranate improves blood circulation it does so in the scalp as well which promotes hair growth. 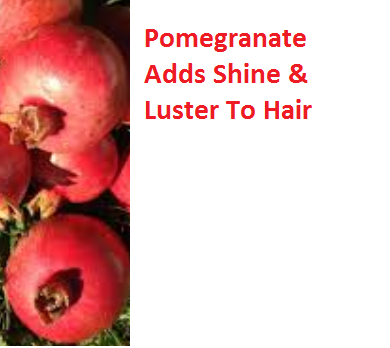 Pomegranate oil works well as a conditioner for frizzy hair hence it is used in hot oil treatment. It helps in detangling your hair and moisturizing it. You just need to heat pomegranate oil till it becomes slightly hot and then massage it in your hair to detangle and treat frizzy hair. Oil of Pomegranate seeds goes well as a carrier oil for essential oils like jojoba and almond oil. Pomegranate oil provides a beautiful shine and bounce to your hair when applied with other essential oils. Pomegranate oil has many nutrients which moisturize and hydrate the hair and provide the hair with the much needed nourishment for staying healthy and strong. Pomegranate oil contains some essential fatty acids and punicic acid which hydrates and strengthens dull hair and gives them a natural gloss. You just need to heat pomegranate oil till it becomes slightly hot and then massage it in your hair. Take a towel and wrap your hair and let the oil sit there for 30 minutes and then wash your hair with a mild shampoo this treatment will give your hair a natural gloss. Daily intake of pomegranate juice is helpful in preventing and treating hair loss. Pomegranates are rich in punicic acid which helps to strengthen your hair and make it thick and healthy. It also increase the blood circulation in your scalp, which improves the condition of your follicles and stimulates hair growth.